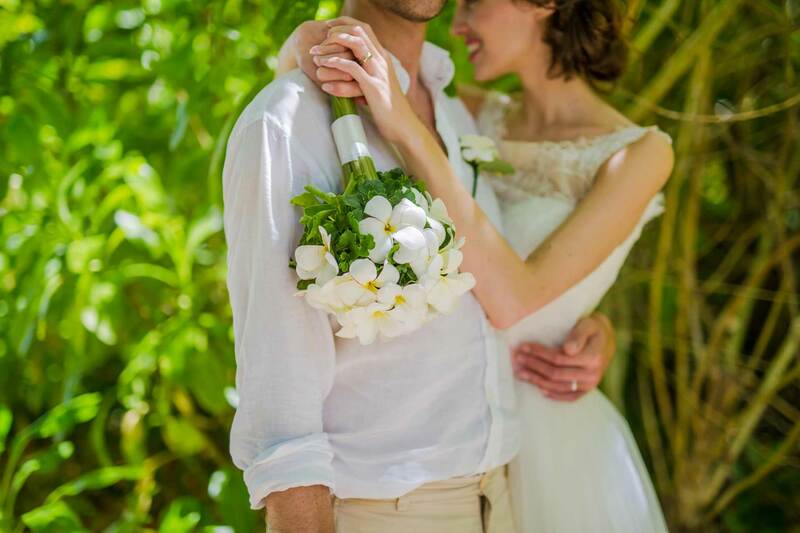 Praslin, the location of our third wedding package is the second largest island of Seychelles. With around 7.000 citizens it is one of the most populated islands of the archipelago. 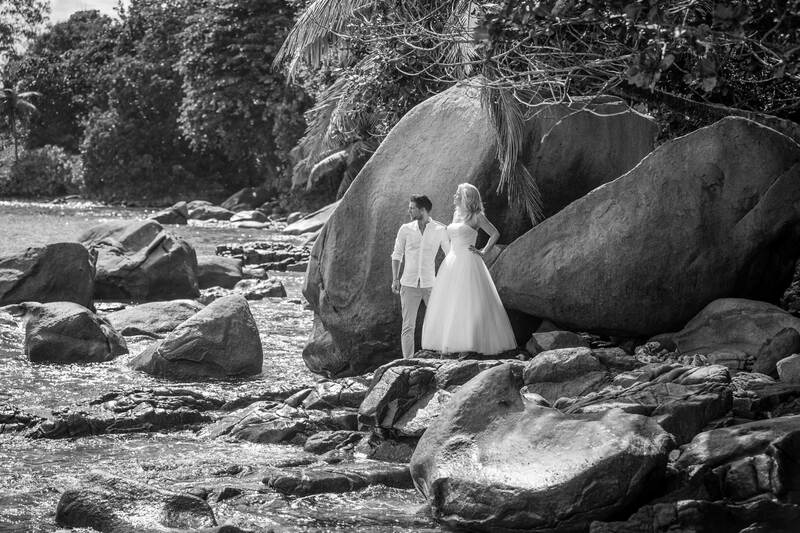 The origin of the Coco de Mer offers beaches which are considered to be the most beautiful in the world. On Praslin you will find the nature reserve Vallée de Mai, which has been a UNESCO World Heritage site since 1983. There you will find the Seychelles palm trees as well as some of the rarest known bird species. 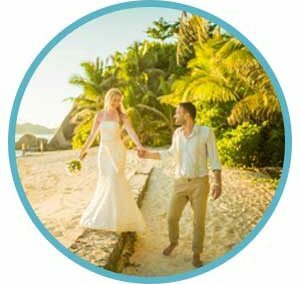 If you want to explore the paradisiacal landscapes of the Seychelles in your honeymoon, you can arrive in La Digue within about 30 minutes, also Mahé, Sillhouette and some other islands are within sight. 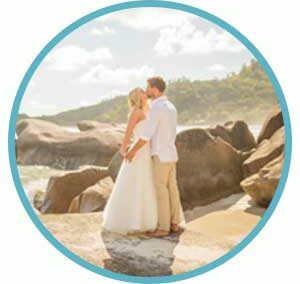 Our wedding package includes everything you need for a wedding on the beach of Praslin at a total price of 1299 euros. 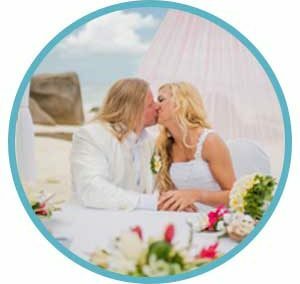 We are looking forward to your individual wishes, for the wedding ceremony as well as for the most beautiful moments of your honeymoon you can book our experienced wedding photographer. 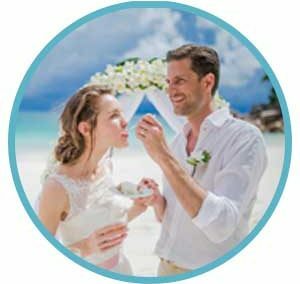 We will take care of all legal and bureaucratic formalities for your marriage in Seychelles, the package price includes all administration fees and expenses. 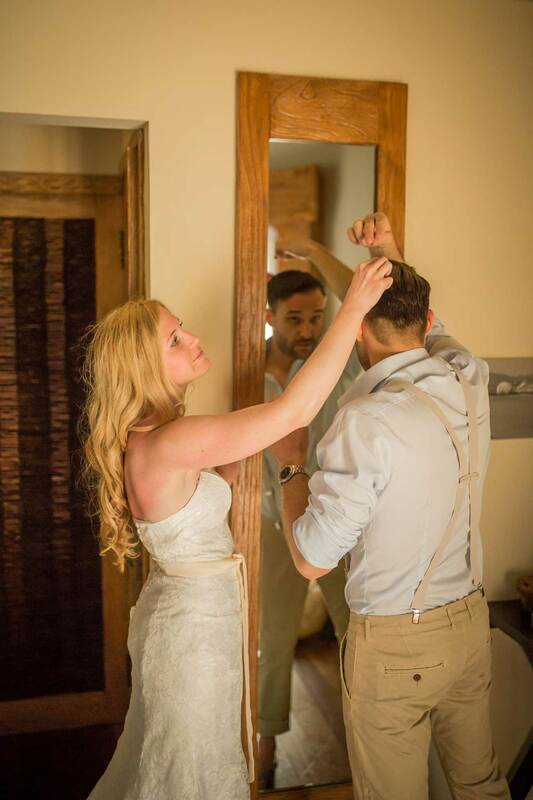 After the wedding, you will receive the certificate of marriage including apostille. 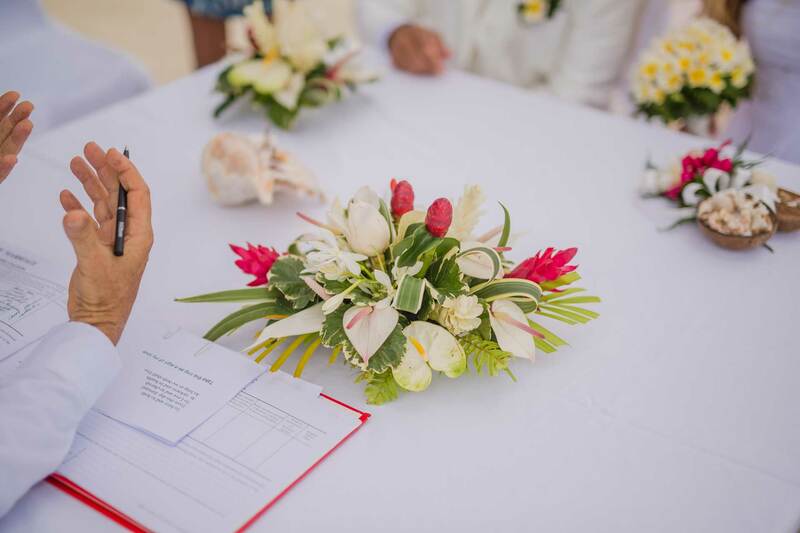 We can organize your wedding as part of the “Praslin” package or individually. We are looking forward to your call or a message via email or WhatsApp!